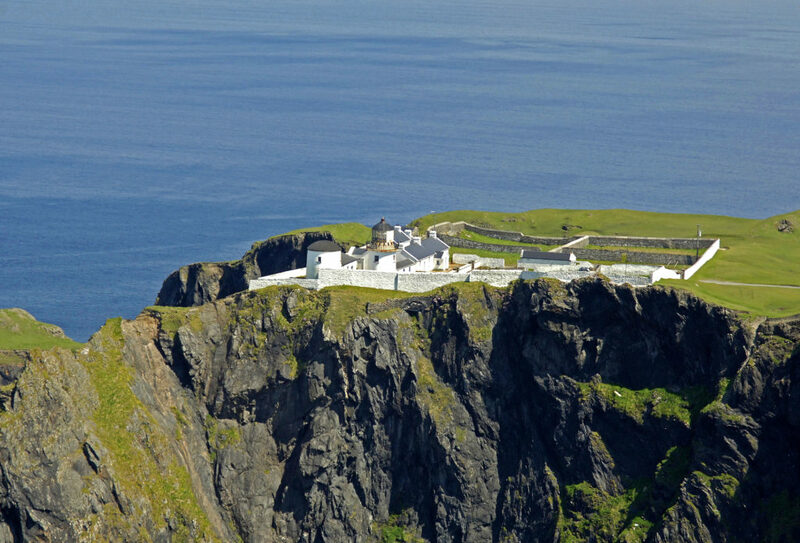 Visit Clare Island on Ireland’s Wild Atlantic Coast – Get Away – Eat. Stay. Play. Clare Island lies off the Mayo coast at the entrance to Clew Bay. Its spectacular cliffs are home to large numbers of nesting sea birds and its hills, bogs and woodlands make it ideal for hill walking. The largest of the Mayo offshore islands, the Island’s complex history can be read through its landscape: from archaeological remains of the Neolithic and Bronze age, to rare medieval wall paintings in the 14th century abbey. One can view the castle and burial place of the famous ‘pirate queen’ Grace O’Malley’s (Grainneuaile). The island population is now around 130, yet everywhere there are traces of past generations, most significantly the 19th century population explosion and subsequent famine when the island’s population of 1600 was reduced by half. Old potato ridges, or ‘lazy beds’ are everywhere: the evening sun reveals them jutting out from the land like the rib cages of some dying beast. Clare Island’s scenic beauty, pristine beaches, rare flora and gentle peak of Knockmore (461m) make it an ideal destination for walkers. Offshore, the clear waters surrounding the island are known for their exceptional dive sites. Clare is also known for its lively night life, live music and regular summer festivals.